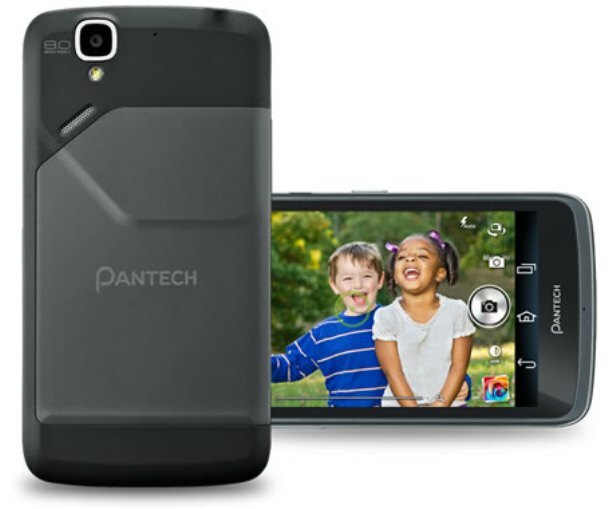 The Pantech Flex P8010 is a high quality smartphone released in September 2012 by Pantech Mobile. If you are the proud owner of a gadget of this sort , and your phone is not working and you’re experiencing an increased number of errors, it might be time to perform a hard reset. There are two options, depending on the level of severity of the issues: you can either do a soft reset or one that brings the Pantech Flex P8010 back to factory settings. If the second option will be your solution, you should know that while a very useful procedure that helps solve most software-related issues fast, it will lead to data loss. To avoid losing important information, you should make a backup of all the data you’d like to save: contacts, messages, pictures, music, etc. This article will not only show you how to regain functionality of your phone through a soft or master reset, but it will also guide you through creating a backup of the data on your Pantech. The phone runs on Android OS and comes with a dual-core 1.5 GHz processor as well as an internal memory of 8 GB RAM. The Pantech Flex is equipped with an 8 MP camera attached with touch focus, geo-tagging, HDR and panorama. This one, together with the secondary 2 MP camera serves for both taking pictures and recording videos. Having a WIFI hotspot, as well as Bluetooth 4.0, Pantech Flex P8010 has an 1820 mAh battery and allows access to a variety of applications, such as Youtube, Calendar, Google Talk, Organizer, Document Writer, Maps, Gmail, etc. In case you’re experiencing minor problems with your phone, the soft reset might be an option to regain functionality of the Pantech. To do so, all you have to do is turn the phone off and remove the battery for a few minutes. Then place the battery back into the phone and turn it back on. If the phone still doesn’t work properly, you might need to consider the second solution. The other option you have is to restore the Pantech Flex to factory software, which means you will not only lose the data, but also take advantage of a brand new operating system. This is a procedure that can be used in case your phone freezes a lot and a soft reset didn’t solve the problem. To avoid losing any important data, you should make a backup before proceeding to the hard reset. Go to Settings >> Privacy and check off the “Back-up my settings” and “Automatic restore” options. Go to Settings >> Accounts >> Sync and open your Gmail account – uncheck all options there. These settings will enable you to restore all your contacts, calendar, system settings and apps once you set up any other Android phone using the same Gmail account. Press the Volume Up and the Power keys at the same time. Release the buttons when the logo appears on the screen. Once the Android mascot appears, press and hold the Volume Up Key and Power Button. On the Recovery Menu, choose the Wipe data/Factory reset option, using the Volume Up/Down keys, then confirm with the Power button. Navigate to Yes using the same keys, then confirm with the Power key. Select Reboot system now once the data wipe is complete. Your phone will reboot and be ready in a few minutes. Now that the process has been completed, you can proceed into restoring all the erased data, using the back-up made earlier. I followed the steps to a tee, but it showed the android logo laying down with am ! In a triangle and wouldn’t allow me to select alternate reset. Anyone have any suggestions? When the phone is powered off, press and hold the Volume Up and the Volume Down keys both at the same time, then press and hold the Power key until you see the recovery mode screen. The Instructions on Top are wrong! When the phone is powered off, press and hold the Volume Up and the Volume Down keys both at the same time, then press and hold the Power key until you see the recovery mode screen. The Instructions on Top are wrong! Used this for rooting a phone….